You are excited about your wedding, yet concerned about the costs? There are many ways to save money and still have a beautiful wedding. 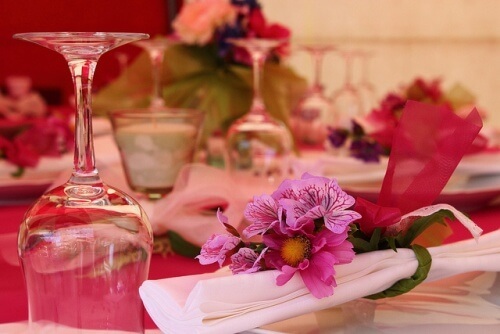 Cheap wedding decorations are one way to help you ease the financial burden. 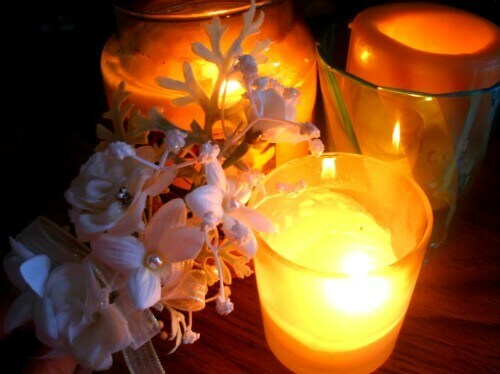 Candles are something that you can use on a budget and they resonate with romance and love. With wedding candles, you will want something that is unscented and this is often the least expensive form of candle. By using many candles around the venue you create a warm and intimate atmosphere. Candles can be adorned with many items... something you can turn into a wonderful preparation work, either with your spouse, or your bridesmaids. Balloons represent celebration and using balloons can be a budget friendly option... if you make the decorations yourself. You too can create stunning balloon centerpieces, balloon arches and balloon columns, with the step-by-step instructions here at Balloon Decoration Guide. If you have pictures of you and your future spouse, you may want to place them in a photo frame and decorate with those photos. Place them throughout the venue. Framed pictures of you and your spouse make personal and affordable DIY wedding decorations. Look for picture frames that have an elegant, expensive look, but come without the price tag. Tulle represents weddings perfectly. When you look at the delicate, airy fabric, you automatically think of a wedding scene, don't you? Tulle can be wrapped around things, hung, bunched, illuminated with lights and so on. Tulle is also ideal to make balloons and flowers look even more festive. 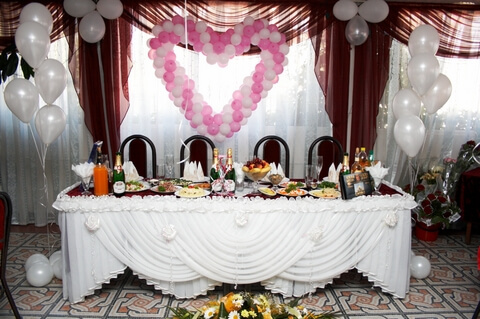 Wrapping balloons in tulle is a popular and easy-to-make decor, as shown in the picture below. 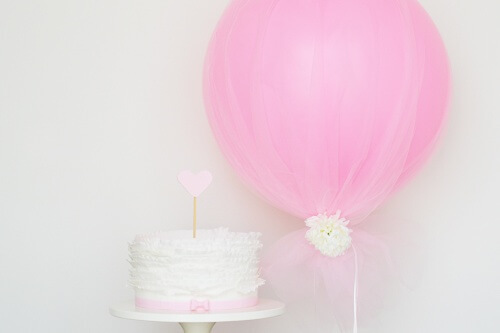 You can also use tulle instead of ribbon for attaching helium filled balloons to their base. The possibilities for decorating with tulle are endless! Flowers are something that you may not be able to live without for your wedding. Make sure to choose flowers that are budget friendly and in season. If you pick a flower that is not available during the time of your wedding, you'll quickly exceed your wedding decor budget. Cheap wedding decorations do not have to look cheap. Once you start using your imagination and creativity, great things happen. Enjoy a one of a kind decoration at your wedding without breaking the bank! Thanks to DecorWedding.com for providing this guest article.